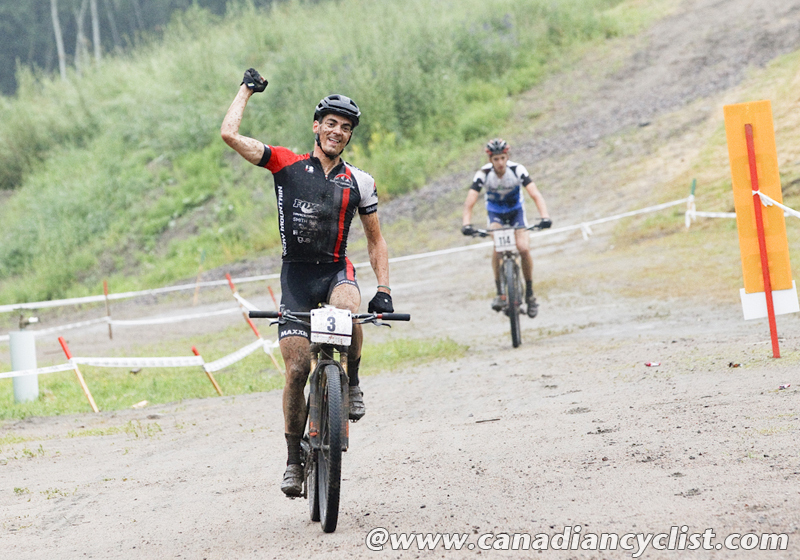 The 19th edition of the Canadian Cyclist of the Year awards was dominated by mountain bike athletes, who swept these Peoples Choice awards, with Emily Batty of Brooklin, ON, being selected as the Female Canadian Cyclist of 2015, and Raphaël Gagné of Quebec, QC, winning the Male title. 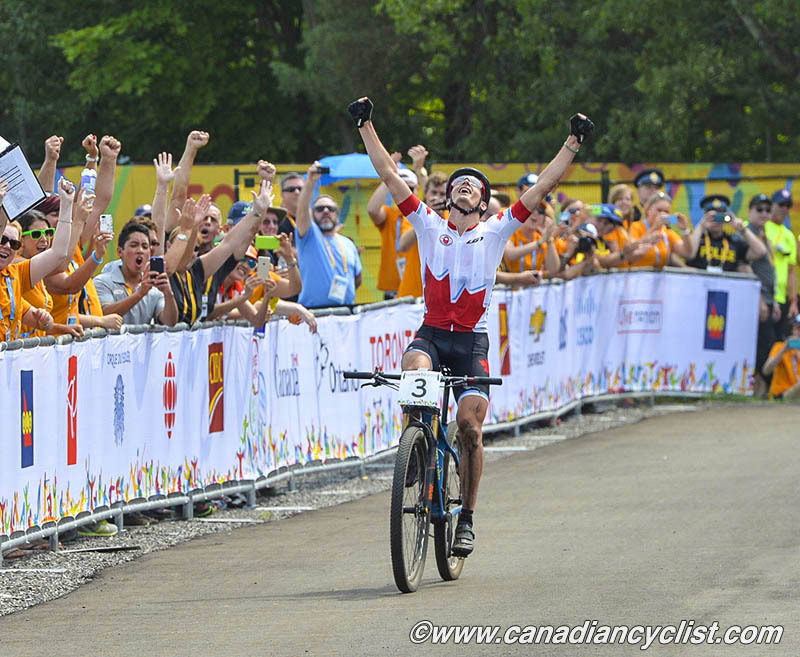 Batty also took the award for the Best Individual Performance of 2015, with her Pan Am Games gold medal winning ride in July. Both are first time winners of these awards. The Canadian Cyclist Awards are the oldest and most recognized cycling awards in Canada, voted on by thousands of cycling enthusiasts from across Canada and around the world, through the online cycling publication CanadianCyclist.com . Voting took place between December 10th and 18th. 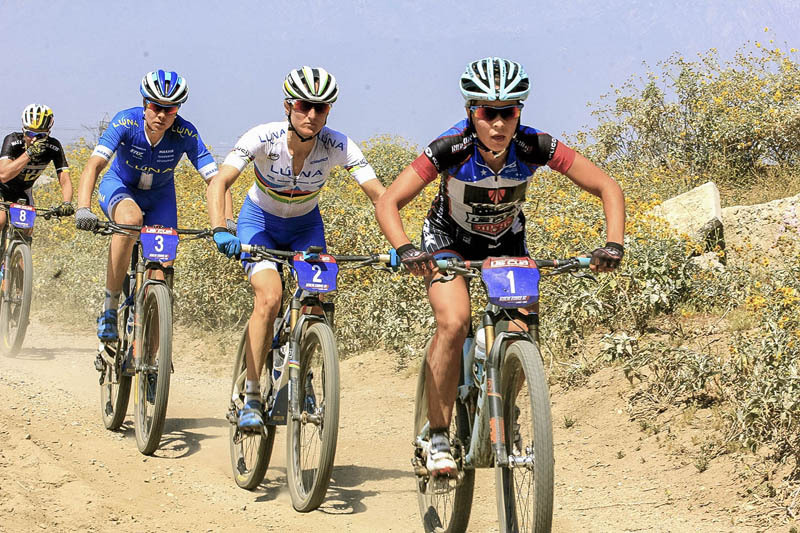 Professional mountain bike rider and 2012 Olympian Emily Batty had one of the strongest seasons of her career in 2015. 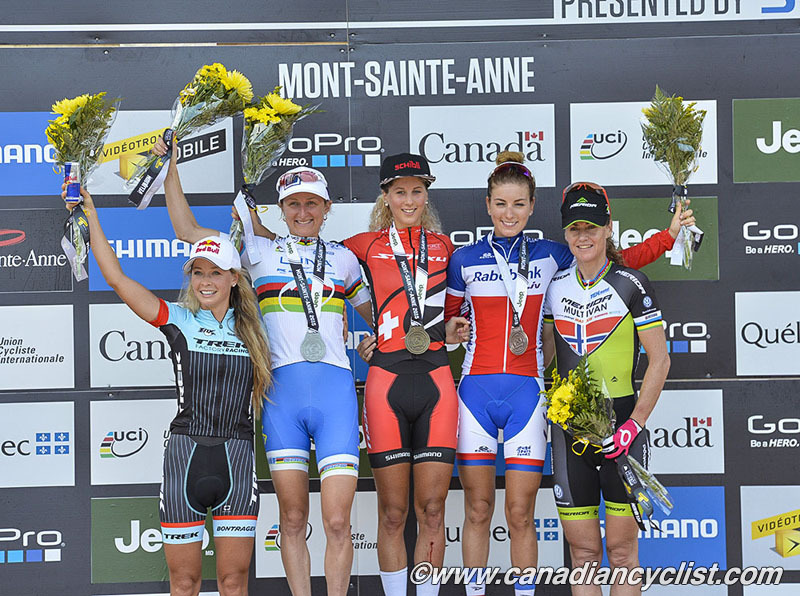 As well as winning the gold medal in the women's mountain bike race at the Pan Am Games, Batty finished the year 8th in the world rankings, 7th in the season-long World Cup rankings and 7th at the world championships. In addition, she won 2 U.S. Cup events and had 3 top-5 finishes in the World Cup series. Batty is expected to represent Canada in her second Olympic Games next year. Batty took an astounding 57% of first place votes cast. 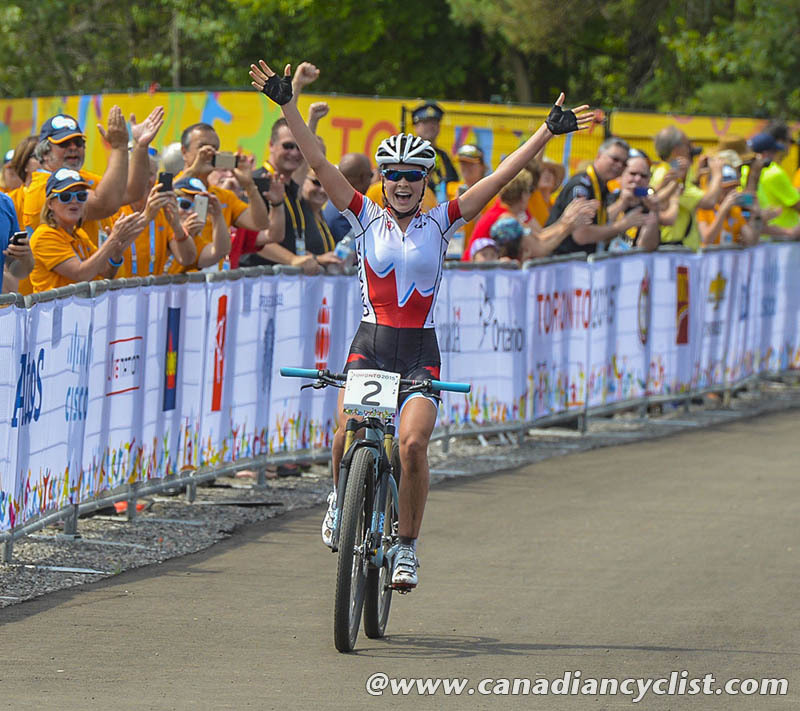 Catharine Pendrel of Kamloops, BC, the defending award winner and the Pan Am Games silver medalist received 13% of first place votes, with Jasmin Glaesser of Coquitlam, BC, winner of 4 medals (2 gold, 2 silver) at the Pan Am Games, receiving 12% of the votes. "I'm humbled to win these awards for the first time," said Batty from her training camp in Arizona. "I have accomplished one of my best seasons to date. We managed to juggle training, racing, media requests and travel stress better then we ever have. The highlight for me, was winning Pan Am Gold at Hardwood Ski and Bike with many of our local fans taking in all the action. That's a moment in my career I will never forget." "I've taken a substantial amount of time to recover from 2015 and I'm motivated to be back into a routine and training for 2016. I'm very thankful for everyone's support and for everyone who has voted. I'm thankful for my sponsors and suppliers Trek, Red Bull, Pfaff Auto, Lululemon, USG / CGC and Oakley. I'm thankful for Cycling Canada in continuing to grow their programs and supporting youth and development athletes. I'm thankful to have my coach and husband managing my career. And I'm thankful to have everyone in my corner supporting me and contributing in my quest towards Rio2016." "Best wishes to everyone in the New Year!" Raphaël Gagné had a breakthrough season in 2015. 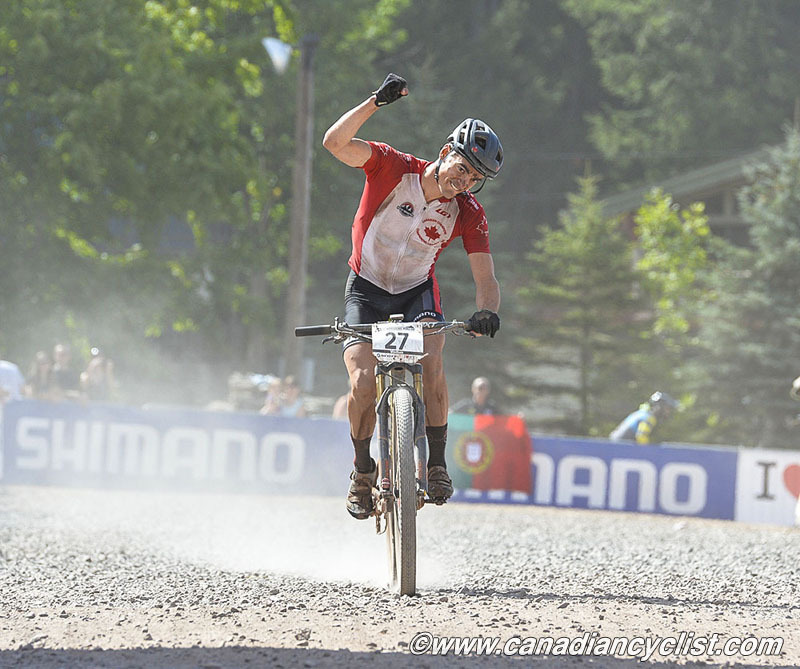 In addition to winning the men's Pan Am Games gold medal in mountain bike, Gagné became Canadian national champion for both mountain bike and cyclo-cross, had a career-high 6th place World Cup finish and won the U.S. Cup overall title, including 2 event wins. He finished the season ranked 13th in the world. Gagné is a strong contender to represent Canada at his first Olympic Games next year. Gagné had a tougher battle for the men's award, winning with 30% of first place votes. Road professional Ryder Hesjedal of Victoria, BC, who finished 5th overall in the Giro d'Italia, was second with 21% of votes and track sprinter Hugo Barrette of Cap-aux-Meules, QC, winner of 3 Pan Am Games medals (2 gold, 1 bronze), was third with 16% of first place votes. "My season has been awesome," said Gagné, "with the US Cup, Pan Am Games Gold, my 2 national champ titles and my 6th place result in Windham [World Cup] as a career best World Cup result. 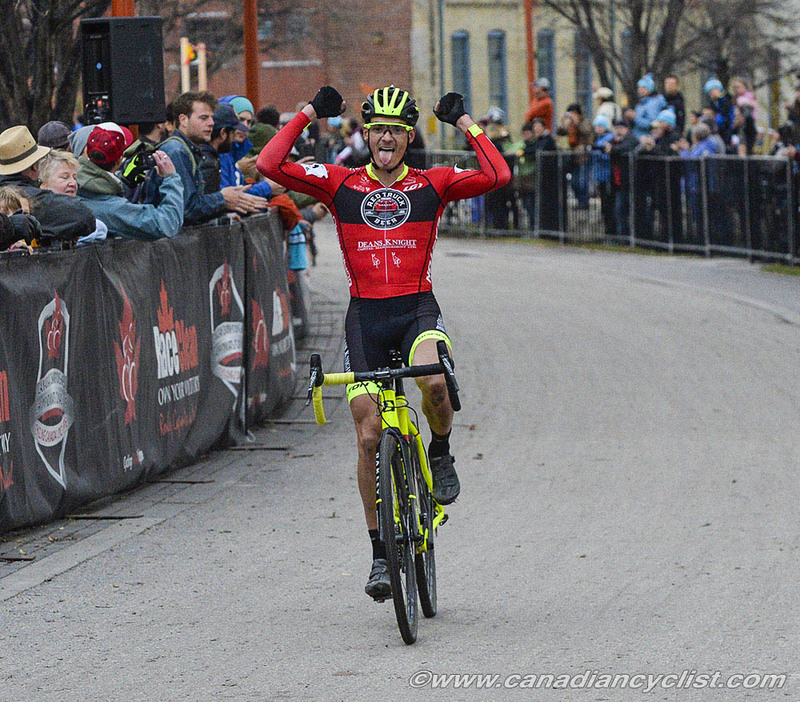 Once again, I'd like to thank everybody involved in my success, Rocky Mountain Bicycles, Red Truck Garneau, Cycling Canada and Québec provincial team and EVERYBODY else involved." "The Male Canadian Cyclist of the Year award is a great honour; I like that it comes from the cycling community and that the fans can voice their support, and a lot of people were thrilled for me this season. I really love this sport, 2015 has been awesome, some were surprised with my impressive results, but I felt this was my normal, so I'm really looking forward to a great 2016 training and racing season. 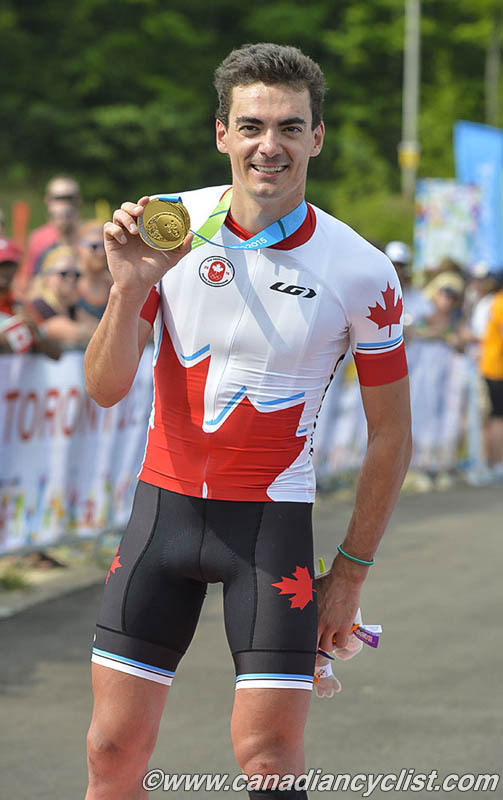 My training camp #1 starts Sunday in Guatémala with Léandre Bouchard, the 2014 Male Canadian Cyclist of the Year. Well, that's a cool timing, and we like to think that the best must train with the best and that fun is fast, so, we will keep keeping it fun!"